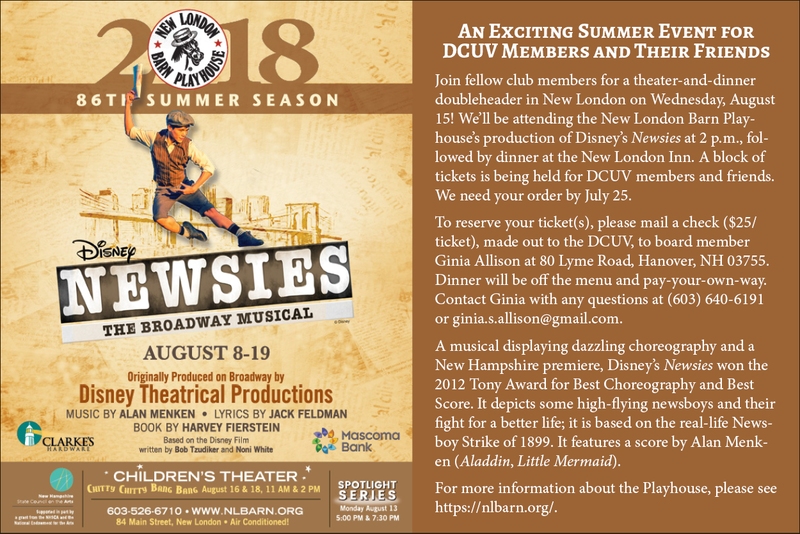 Join fellow club members for a theater-and-dinner doubleheader in New London on Wednesday, August 15! We’ll be attending the New London Barn Playhouse’s production of Disney’s Newsies at 2 p.m., followed by dinner at the New London Inn. A block of tickets is being held for DCUV members and friends. We need your order by July 25. To reserve your ticket(s), please mail a check ($25/ticket), made out to the DCUV, to board member Ginia Allison at 80 Lyme Road, Hanover, NH 03755. Dinner will be off the menu and pay-your-own-way. 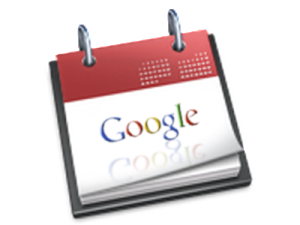 Contact Ginia with any questions at (603) 640-6191 or ginia.s.allison@gmail.com. A musical displaying dazzling choreography and a New Hampshire premiere, Disney’s Newsies won the 2012 Tony Award for Best Choreography and Best Score. It depicts some high-flying newsboys and their fight for a better life; it is based on the real-life Newsboy Strike of 1899. It features a score by Alan Menken (Aladdin, Little Mermaid). For more information about the Playhouse, please see https://nlbarn.org/.